JNTUA B.Tech/B.Phar I Yr Reg & Supple Dec/Jan 2015-16 Exams Time tables. 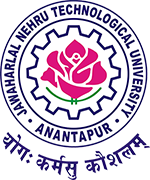 jntu anantapur 1st year end examination time tables 2015-16. JNTU ananthapur Released B.Tech/B.Phar I Yr Reg & Supple Dec/Jan 2015-16 Exams Time tables on 02-12-2015. These Exams are going to conduct for R15, R13, R09 & R07 Regulation Students. For more details visit below.